Improve your Fighters to make your climb up the Tower of Barbs easier. In Let it Die, one of the first things players want to know is how to level up Fighters. When you first start the game, you’ll unlock your first Fighter. Using this character, you’ll be able to navigate the first few floors of the Tower of Barbs. As you climb the Tower and reach new floors, you’ll want to level up your Fighter so that you’re better prepared for the new challenges you’ll face, including a mini-boss on Floor 3 named COEN. To help, we’ve put together a quick guide on how to level up Fighters in Let it Die! 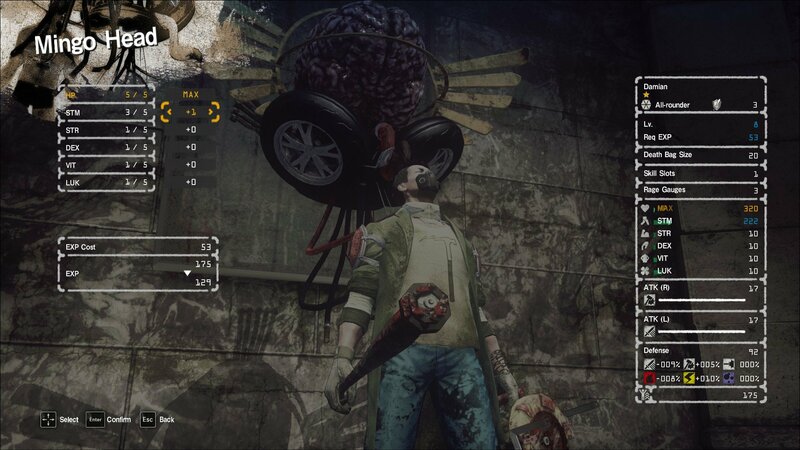 Interact with the Mingo Head in Let it Die to level up your Fighter. In Let it Die, you’ll be able to acquire and level up characters called Fighters. To level up these Fighters, you’ll need to accrue EXP. The more EXP you have, the more you’ll be able to level up your Fighter. There are a variety of ways to earn EXP in Let it Die, though the easiest is by “farming” the first few floors. To do this, simply head to Floor 1 and kill every enemy you encounter. When you take damage, pick up and eat Mushrooms and edible animals like Frogs to regain HP. Note you can step on Frogs to change the Mushroom they drop, and squishing Frogs rewards 5 EXP. Additionally, open any Briefcases you find on the ground to gather Kill Coins, Blueprints, weapons, and wearable items. 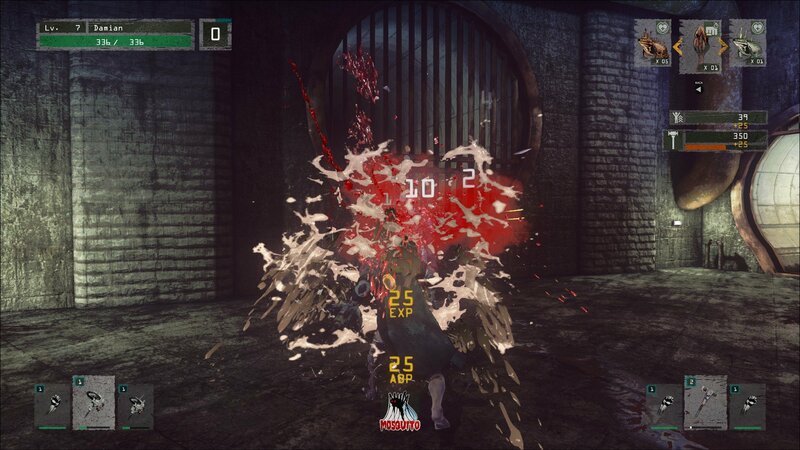 Killing enemies awards EXP which can be used to level up your Fighter in Let it Die. Depending on how much HP and items you have on hand, you can either head up to Floor 2 and farm that floor, or head back down to your Waiting Room. When you return to your Waiting Room you’ll be scooped up by the Mingo Head. The first time this happens, you’ll be given a prompt to level up your Fighter by placing skill points in a variety of tiers including HP and Stamina. To get Mingo Head to put you down, simply spend your available skill points, then confirm once you’re done assigning them. For subsequent return trips to your Waiting Room, you’ll need to manually interact with the Mingo Head in order to continue leveling up your Fighter. What’s more, Let it Die gives you the option of purchasing additional Fighters using the Fighter Freezer, though we recommend maxing out the level of your first Fighter before doing this. Assign skill points while using the Mingo Head to level up your Fighter in Let it Die. To level up your new Fighter, you’ll need to repeat the same steps as before. Namely, head to Floors 1 and 2, farm them for EXP, then return to the Waiting Room and interact with the Mingo Head to assign the skill points needed to level up. In addition to maxing out the level of each Fighter, we recommend always having more than one Fighter at your disposal in Let it Die. This is because, should your Fighter die, it becomes a “Hater.” A Hater is a zombified version of your Fighter that occupies the floor where they died. By killing this Hater using another one of your Fighters, you’ll be able to collect them and return them to your Fighter Freezer. Without another Fighter, though, you’ll be stuck creating a brand new Fighter from scratch when your main Fighter dies. You can purchase additional Fighters in Let it Die by interacting with the Fighter Freezer. Try to avoid purchasing too many Fighters in the beginning, as you’ll be able to unlock “improved” Fighters as you climb the Tower of Barbs. Improved Fighters are ones with more Decal slots, and more wiggle room in how much you can level them up. To unlock these Fighters, all you need to do is climb the Tower of Barbs and defeat its various bosses. Your first mini-boss can be found on Floor 3 in the form of COEN, while your first main boss is located on Floor 10 called Max. After unlocking improved Fighters, you’ll want to create one using your Fighter Freezer and, once again, farm the floors to level them up. 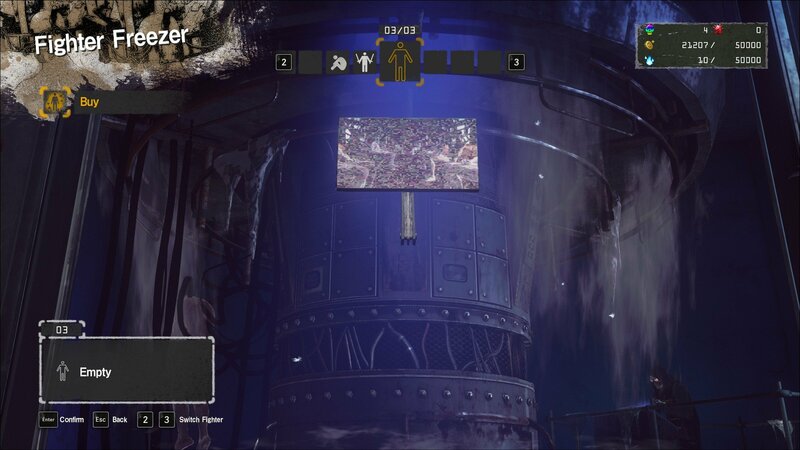 In a nutshell, the first 10 or so Floors of Let it Die will be typically spent adjusting to the game’s mechanics by farming, leveling, unlocking new Fighters, and repeat. In doing so, you’ll be better prepared to continue your climb up the Tower of Barbs. For more on Let it Die, be sure to check out some of our previous guides including how to earn Death Metal in Let it Die, and how to craft items in Let it Die! By reading through this guide, you should now know how to level up your Fighters in Let it Die.